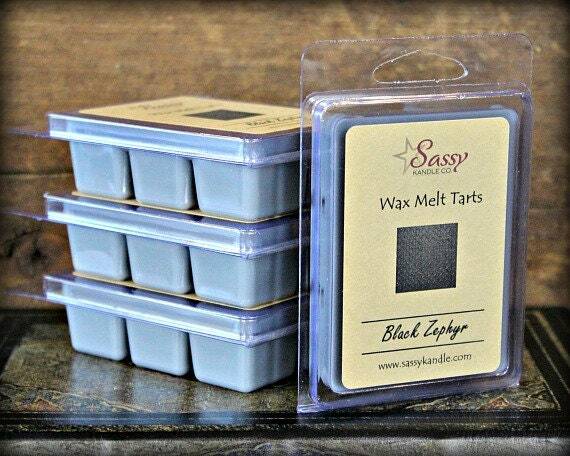 BLACK ZEPHYR | Wax Melt Tart | Phthalate Free | Sassy Kandle Co.
BLACK ZEPHYR - More on the masculine side of the scent spectrum, Black Zephyr offers a synergistic blend of some wonderful fragrances including: black peppercorn, leather, patchouli, musk, citrus, ginger, jasmine, cedar, vetivier, and frankincense. Love this seller. I have bought wax melts and candles from her many times and will continue to buy from her in the future!! !